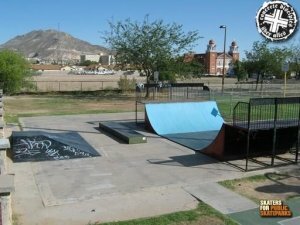 Tula Irrobali Skatepark - El Paso, Texas, U.S.A. 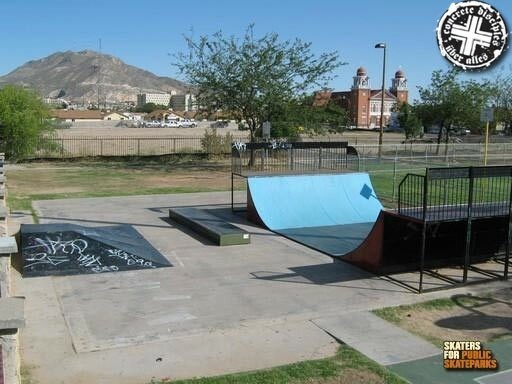 This park consists of Skatewave ramps on a slab including a mini ramp, a ledge and pyramid. BMX bikes are allowed.